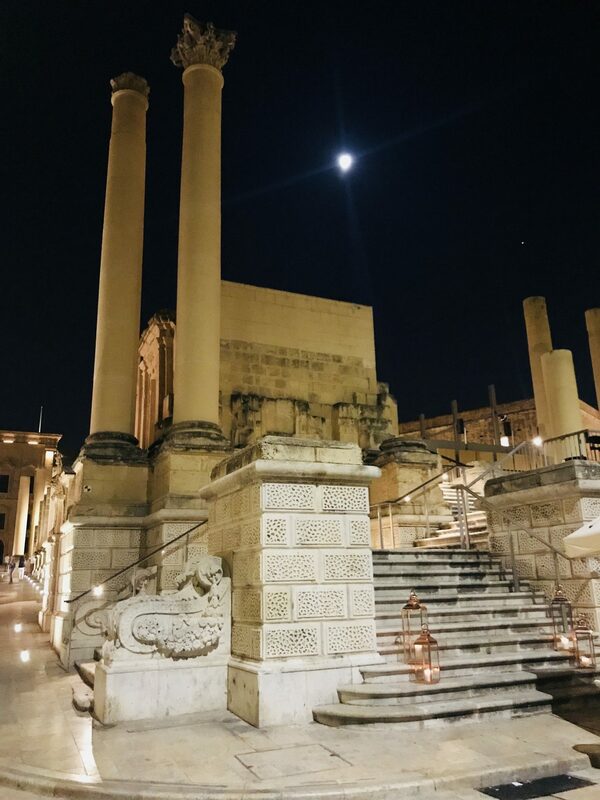 My first visit to Malta and it was a surprise from my boyfriend for my birthday. I’m 33! Mark had informed me the flight was booked for the bank holiday weekend but he didn’t tell me where we would be going…Turn’s out it was Malta. The birthplace of my name Melita and also my Mum in fact. I was elated at the news I’d be going to Malta for my birthday. What a lovely thing to organise. At the airport we waited for our plane to arrive, slight delay of 4 hours, stuck in the check in queue with another Melita from Malta (That was great meeting another Melita) and a very chatty man who adored talking to Mark, once passed check in we used our time wisely at the airport by making pancakes in the lounge and drinking coffee and wine of course, we are after all on our holidays. We arrived early afternoon and it was still super hot. My first thoughts when I arrived was how much it reminded me of Turkey with the limestone walls and buildings, having said that it’s been a long time since I have been to Instabul so it may not look anything like it at all now. Mark had arranged everything for the weekend break away. We had dinner reserved at a restaurant called Dimitri’s the day we arrived. We got to the hotel and dropped off our stuff and made our way out to explore and head to the restaurant afterwards. The owner of the restaurant Dimitri was so lovely, he looked after us so well all evening. He was aware it was my Birthday as Mark had called him six weeks previous…How very organised he was (Unusually organised may I add) so everything was arranged for our arrival and I couldn’t have been happier. The restaurant bizarrely is immediately opposite a street called Melita Street and Mark actually didn’t know that until we arrived. Blink though and you will miss this restaurant. It’s not exactly easy to spot unless you are looking out for it. I will say you won’t want to miss out eating here. So many people requested a table that evening without a reservation and couldn’t, it was full. I would strongly recommend reserving. The food is superb though. I’ll leave all links for Dimitri below. 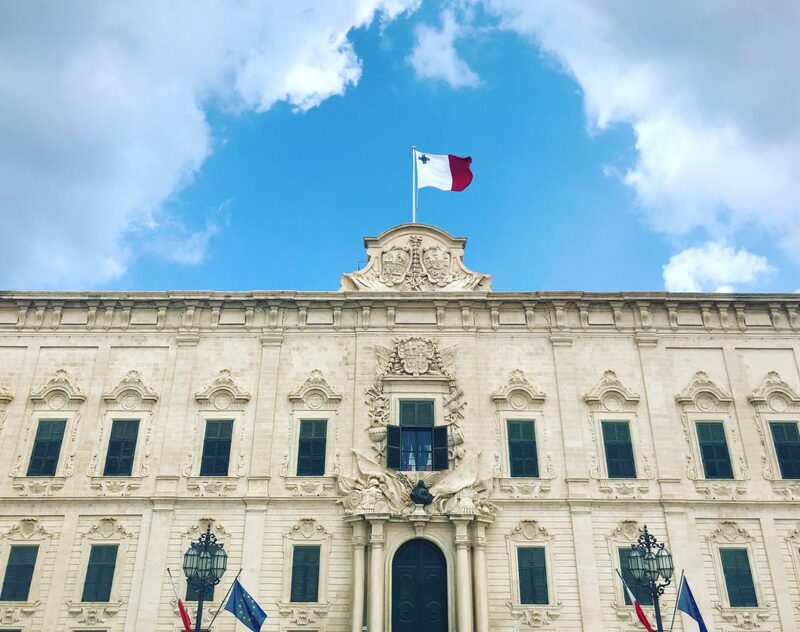 I must say that buildings around Valletta are incredible. The cobbles uneven streets lead you to yet more streets and steps filled with history and wonder. I literally couldn’t take my eyes off some of the buildings. Each building had engravings of a religious statue/symbol. The streets are so narrow and the buildings are super tall. The roads were more suited for horse and cart back in the day so, in this modern world even the cars could barely fit through the streets. People drive like crazy in Malta. The road markings are non existent, it’s dog eat dog when driving around roundabouts and beating the traffic. Fear not though for my safety..Mark arranged for us to go by Segway around Valletta. A lovely gesture. I did have fear in my eyes when we were on the main roads and amongst the mad drivers on the road. It was fun. I enjoyed the breeze through my shirt when going at full speed. 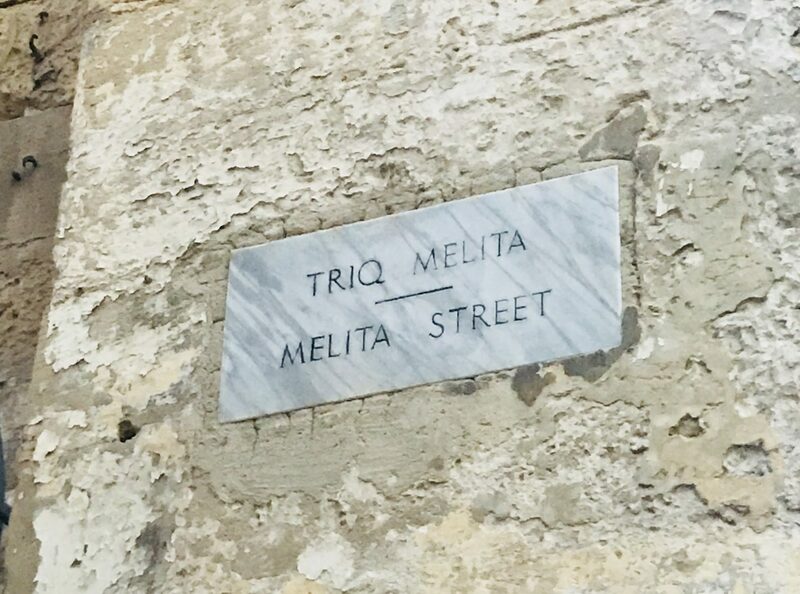 We also that day watched a video about “The Malta Experience” the history of Malta and it delighted me so much to see my name on the Big screen…Melita was in fact the name of both the Island and the city before it was changed to Malta. Melita means Sweet Honey also. On my birthday we spent the day touring Gozo, the neighbouring island to Malta. At first we were on a Ferry to get to the island, then had a full day on a Jeep to continue the Tour, then a final speed boat ride back to the mainland. I must admit our Driver Maurice during the tour was really helpful. He was a great tour guide although that’s not his job, he gave us a different history lesson about Gozo and was very friendly. 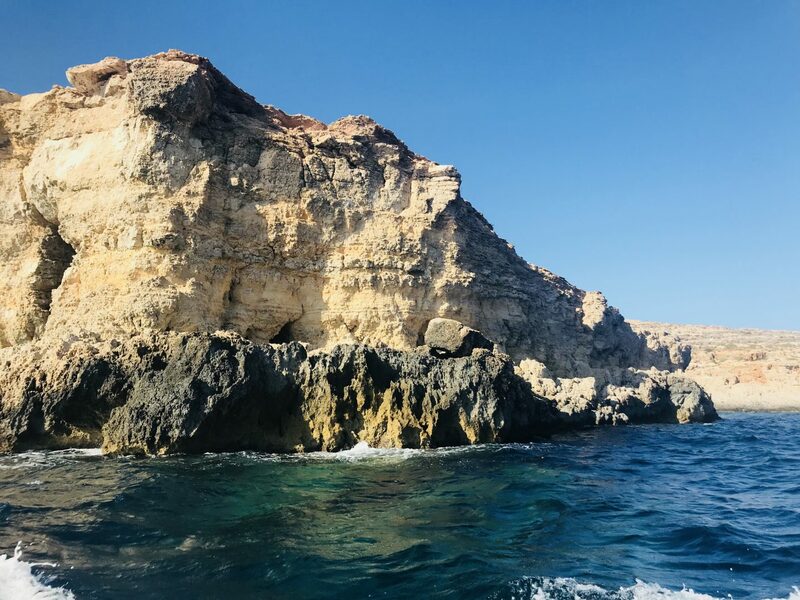 Mark had a swim with huge caves surrounding him at one of our pit stops in Gozo. A few scenes from the show “Game of Thrones” were filmed here too. I filmed him take a leap into the water amongst all the instagram lovers trying to make sure the aesthetic of thier photos was just right. I can imagine a few pictures on their phones of Mark in the background making a splash in the water. We stopped off at a few locations around Gozo, a craft shop in Gozo which also sold Prickly Pear Liquor. You can purchase the brand “Melita” Prickly Pear liquor to my delight. Remember Baloo from The Jungle book loving his Prickly Pears? Well, I understand why now. It tastes like Calpol but the alcoholic version. 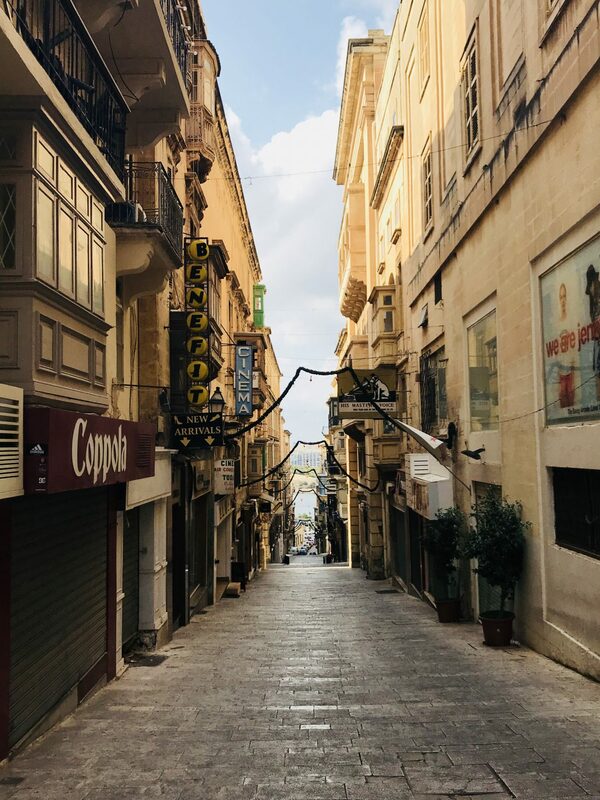 Although there are some buzzing places to go in Malta I would say it’s more of a sightseeing country and a place if you actually don’t want to do much. Malta was was described to me as “30 years behind” but I quite liked this about Malta. The old retro signs including the likes of HMV it actually says “His Master’s Voice” and Platex underwear signs that have remained. Religion is huge in Malta. The amount of churches and the money invested in the maintenance of churches is incredible. We questioned the newly built churches when considering some of the surrounding areas could have done with the investment but just an opinion we shared. All in all, we saw some great things and made some fabulous memories and I came away with another experience from the big wide world. I love travelling with Mark, we like to try new things and go to different places, although I cannot bare to lay in the sun unlike him. I think he had all of 10 minutes laying down before I suggested we take a walk around…again! He does make me smile. Maybe on our next holiday I’ll take the afternoon off and lay with him for 20 minutes…that’s progress. As always, thank you for taking the time to read this post and subscribing. If you haven’t subscribed already you can by entering your email address at the homepage on my website.